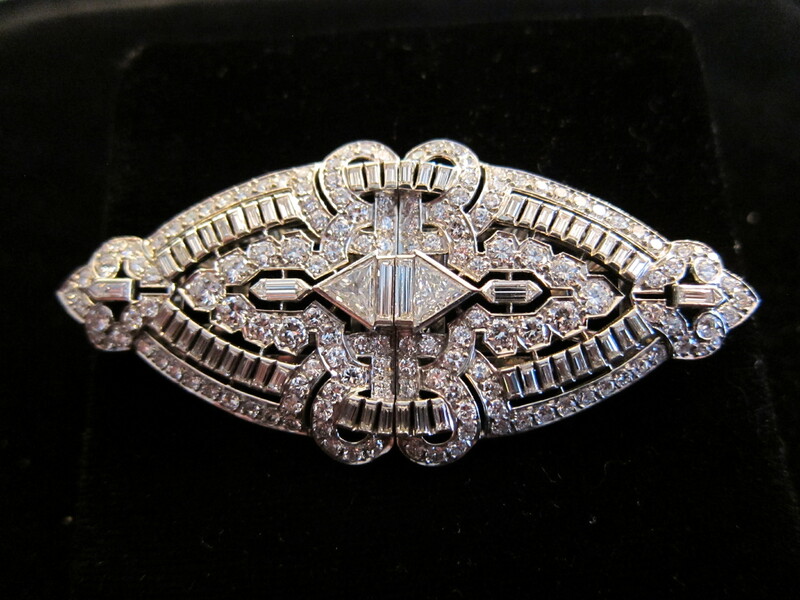 During the second world war, there was an obvious reduction in the making of antique jewelry, the war was very expensive, and much of the precious metals needed for making antique jewelry was heavily taxed. But as the war came to an end in 1945; gone were the wartime privations, and the years of somber austerity. 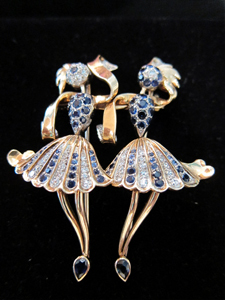 We have the magazine 'Vogue', in the person of the journalist Claude Blanchard in his article on antique jewelry speak of 'the importance of trivial things'. 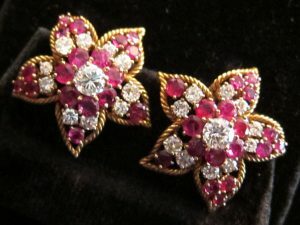 When it came to the vintage jewelry, extravagance and opulence were now the object of celebration. 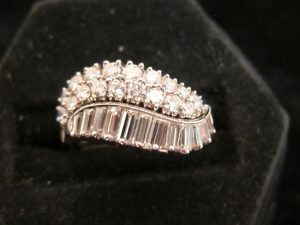 Diamonds, after a passing craze for colored gemstones were very much back in fashion in the antique jewelry of this period. It was a time when the De Beers Diamond Corporation, then the world's largest diamond company launched the slogan: 'A diamond is for ever'. And to encourage antique jewelry designers to be more creative, the De Beers company established an annual competition in the United States in the early 1950's which gradually increased its scope by opening up the competition to vintage jewelry designers from the rest of the world. 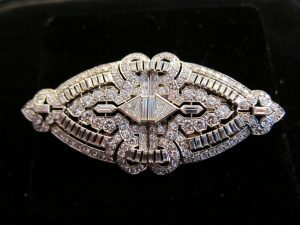 In the 1940's antique jewelry in the United States continued to deepen the aesthetic look of the more avant-garde artists. Obliged by the war to seek exile across from the Atlantic,many antique jewelers exerted a considerable influence on American jewelers. The success of these artist designers was hallowed by an exhibition held in the 1940's by the Museum of Modern Art in New York described as a seminal exhibition for modernist jewelry. As Beverly Forward from Beverly R Jewelry, once commented 'the Jewelry of today is the antique jewelry of the future'. 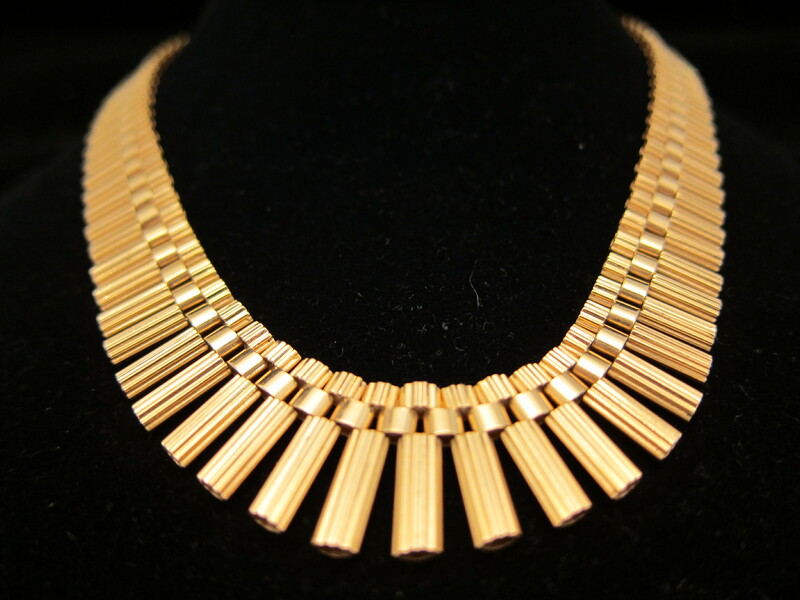 Strange as it may seem, when talking about antique and retro jewelry, but mention must also be made of the all important role played by the United States Military in developing a wider interest in vintage jewelry design. 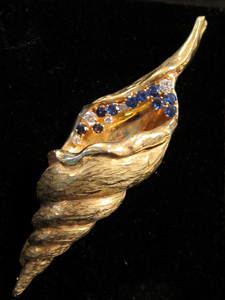 Among various measures intended to help demobilized soldiers return to civilian life, workshops were opened throughout the U.S. A development which completely overturned the whole tradition of antique Jewelry design;the work of the best of these new antique jewelry designers were exhibited at the Metropolitan Museum in New York, they moved on to traveling antique jewelry exhibitions throughout the country, and the work of these vintage jewelry designers was even taken on tour to Europe. At Beverley R Antique Jewelry, we have a large selection of fine 'Retro' Jewelry from the 1940's & 50's, a selection of which you can see pictured.